When your baby’s first little tooth erupts, it gives rise to mixed emotions. On one hand, there’s joy, because your little one is growing and on the other hand, there’s horror, if you’re still breastfeeding! For most babies, the first tooth makes an appearance anywhere from four months onward and some babies are even born with teeth. On the other end of the spectrum, you may have a late bloomer, whose first tooth takes its own sweet time, maybe even till he’s a year old! For most babies till the age of 8 months, the puree and porridge phase goes by smoothly. But many Moms worry about their child’s diet after this phase, when they start thinking about introducing lumpier textures in their baby’s diet. 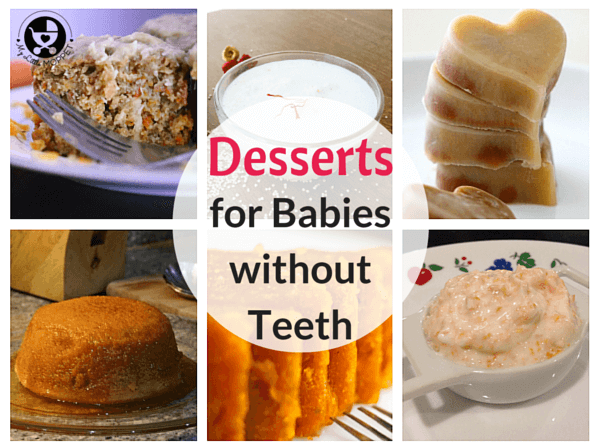 Now you don’t need to worry if your baby still doesn’t have any teeth yet – we assure you, he’s not going to starve! 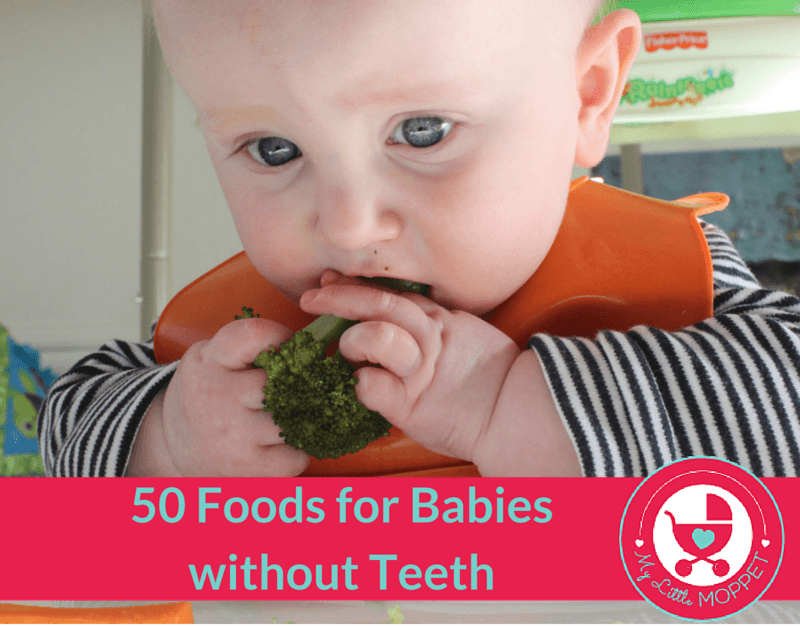 Keep breastfeeding him for as long as you want, and as for foods, we’ve drawn up a list of 50 foods you can feed your baby, even if he’s still waiting for that first tooth! Most fruits can be fed directly, as long as they’re ripe. For starters, avoid the peel and ensure there are no seeds. For harder fruits, you can stew them for a few minutes to make them soft. 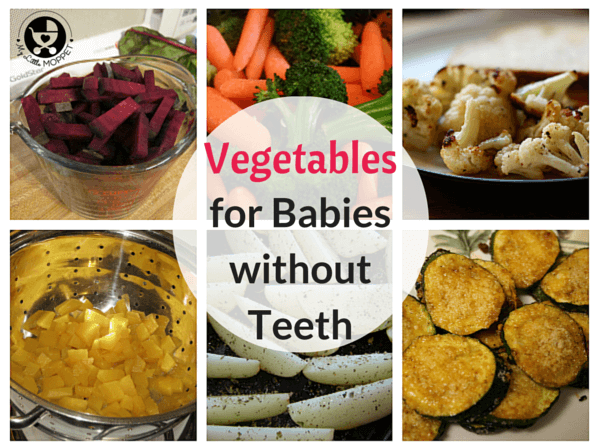 Vegetables are hard for babies without teeth to eat directly, so will require some steaming or boiling. Cook till just soft and not any more, or else they’ll turn into mush and won’t be the texture you’re looking for. 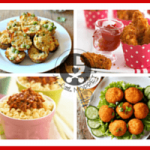 Many of these breakfast ideas can be made for the whole family or older kids as well. 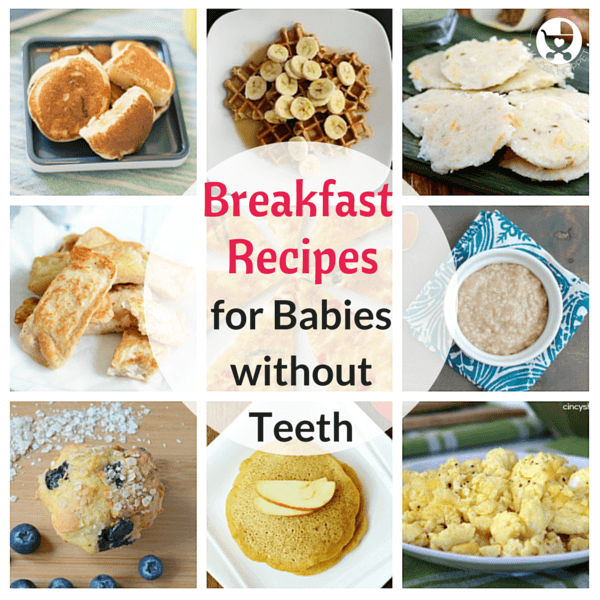 Choose from Indian and other cuisines so your baby gets used to sweet and savory breakfasts. You can add fruit on the side as well. 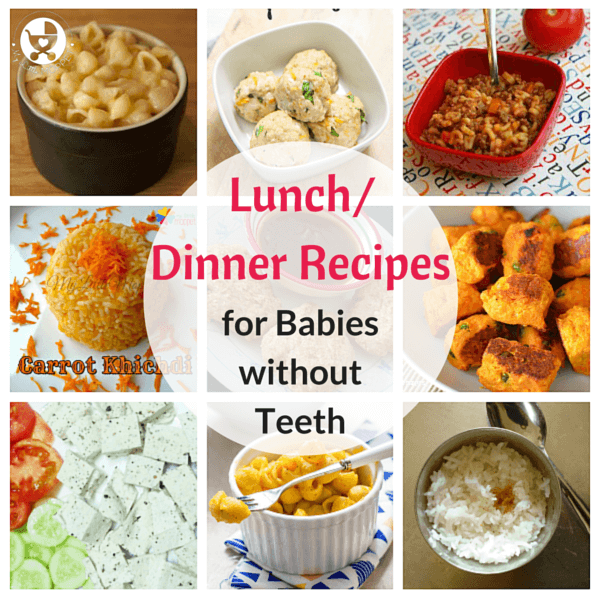 Meals like lunch and dinner seem to be the biggest challenge for Moms of babies with no teeth, but there are many options. Adjust the salt content when you cook for baby – try adding spices instead to flavor the food. 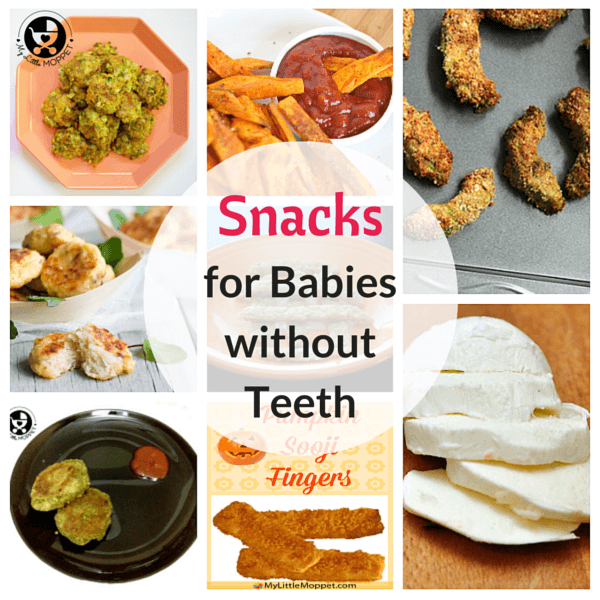 If you’re trying to get baby to eat on a schedule, you can offer her these snacks when she gets hungry in between. Try to balance it like this: if she hasn’t had any veggies all day, try with a veggie snack. While you don’t need to make a sweet dish a daily affair, once in a while even baby deserves a treat! Making them less sweet will prevent a sweet tooth later, whenever the teeth come in! 1. 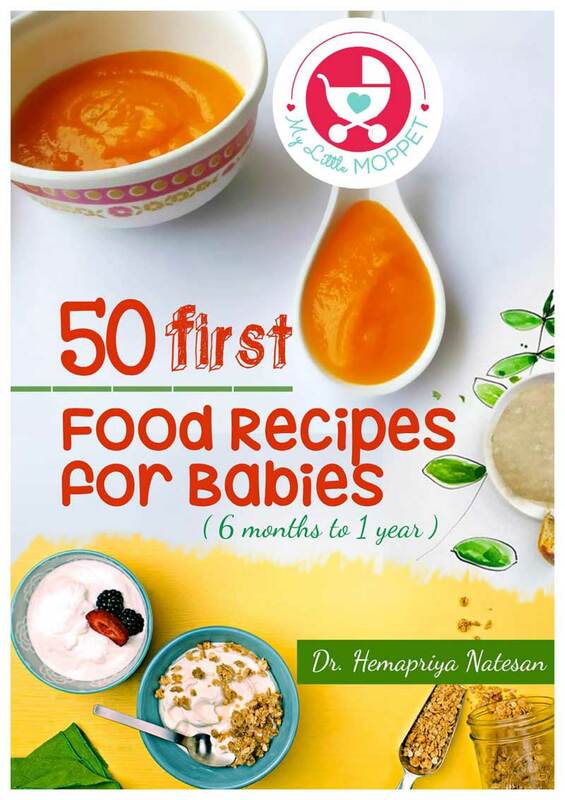 Check the age recommendation on each recipe before feeding your baby. 2. Make sure you follow the 3 day rule with all new foods to be aware of any allergy. 3. Always be in the room with your baby when he’s eating. 4. With a new food, introduce small amounts at a time. 5. In case of any doubt, consult a doctor. Most babies will find a way to gnaw on their food, chew on it at the back of their mouths and swallow. They generally have a natural gagging reflex to prevent choking, so they’ll spit out food that’s may be dangerous – don’t force it back down. 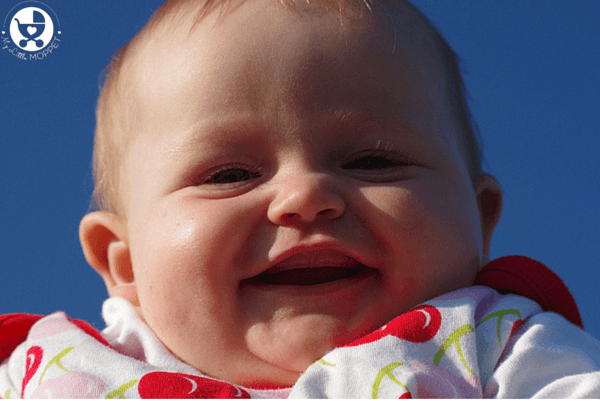 With some trial and error, you’ll soon find that your baby is able to enjoy most foods – you’ll know when you see that loving toothless grin! Sorry for the inconvenience caused. The issue has been rectified now. 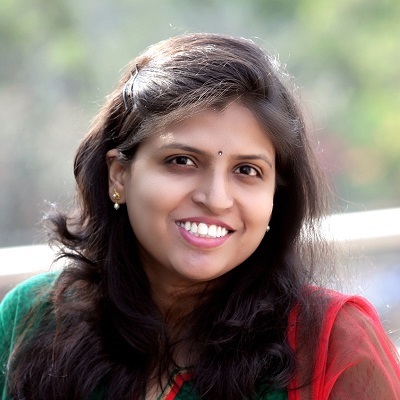 Really love your website and its been quite a go-to for me. My baby is a year old and has sprouted his 2 bottom teeth recently. He has never really put anything in his mouth to chew on, except his fingers occassionally or a soft toy or something (recently) if he’s hungry. He used to have khichdi, yogurt, but now wont even look at it. 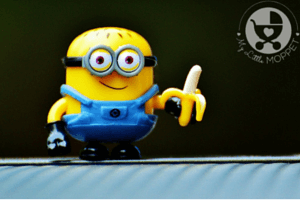 He hates banana and I believe im seeing a pattern where he dislikes slimy foods. Out of desperation I’ve offered him biscuit (he will have a little) and chocolate he loves. Gets half a piece occasionally. But these days he only prefers crispy food like kurmura or a wafer.. and that too he swallowed a kurmura or bite of wafer whole, without chewing. Sometimes while offering food, if he does not like it, he will retch and at times vomit everything out, including milk that he’s had an hour ago. What do I do? At the most if he likes something, and it’s on his lip, he will try to push it in with his palm. He had not developed his pincer grip yet. I’m not one of those moms who wants their child to eat as per their expectations but at least something, even teaspoonfuls..anything to reduce the milk intake and increase other wholesome food. Do I try BLW? How long could it take before he actually eats well or even puts Some food in his mouth? I can completely understand, as this is a phase in every baby’s life. It’s time to improve his feeding abilities dear, Give him more finger foods. Allow him to use his hands and explore foods, let that be messy, never worry. Let him have small amounts of nutritious foods. I suggest not to look for junks just because he eats it. Make the meal time more fun. Please find below link with tips on BLW- Baby led weaning. This would definitely be helpful dear. Hi mam. My baby is 7 months old. Shall I add ghee for food. Is digestion problem will come?  Yes you can start, add minimal amount initially, so that baby learns to digest it. My daughter is 10months old and is refusing to eat from the start of summer. Pls suggest few recipies. Many moms have the same concern that their baby is not eating properly, Between 6 and 12 months of age, many babies or even toddlers go through a passing stage of refusing solids and favoring milk—either from the breast, or formula. This preference is likely due to the ease and familiarity of sucking from the breast or bottle versus the hard work of swallowing solid food. As long as your baby gets the nutrients she needs during this phase, there’s no real cause for concern. 3. 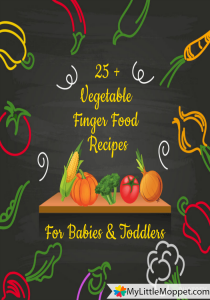 Perhaps your baby is trying to tell you that she wants an upgrade in cuisine! Give her more finger foods Just let her eat with her hands and clean up when she’s finished. The important thing is not to react or turn it into an emotional issue or a power struggle. Then you will get a picky eater for sure! 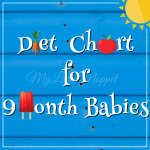 Also check the 10 months food chart on the site for variety of food options. Dear , as long as the baby is active and achieving all other milestones well, there is not much need to worry. Continue to offer her food full of nutrition. shall i give curd vermicelli to my 11month baby? On reading few recipes as given above for babies without teeth I couldn’t get a clear picture on the age factor. My baby is 10 months and not sure if it’s safe for her. 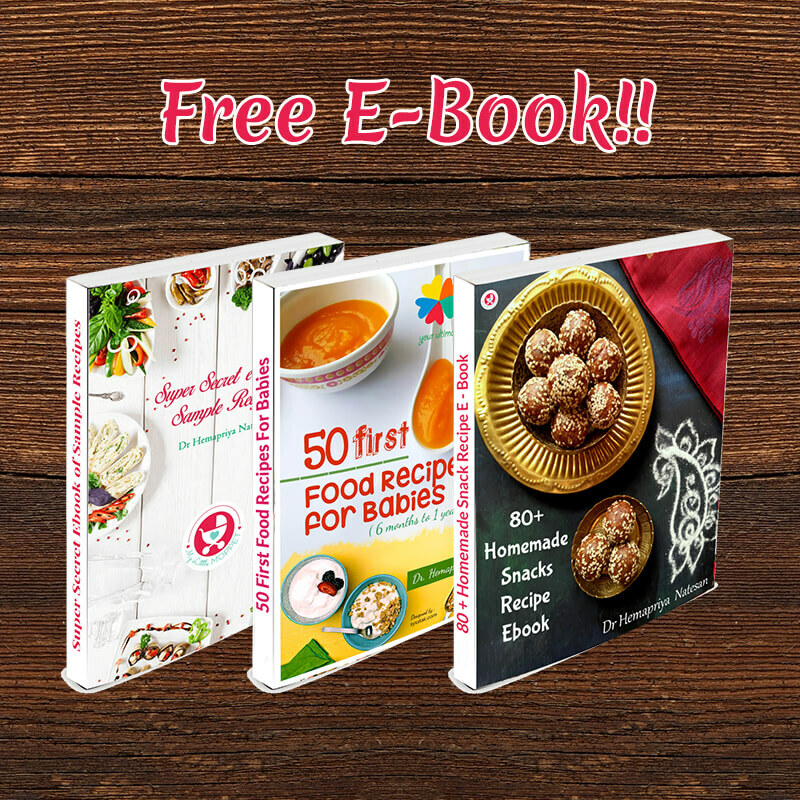 Would really appreciate if you could update these recipes with the age factor or if any particular link where I could get it. Thanks. I have been following your suggestions and recipes which have helped me. Baby led weaning!!! 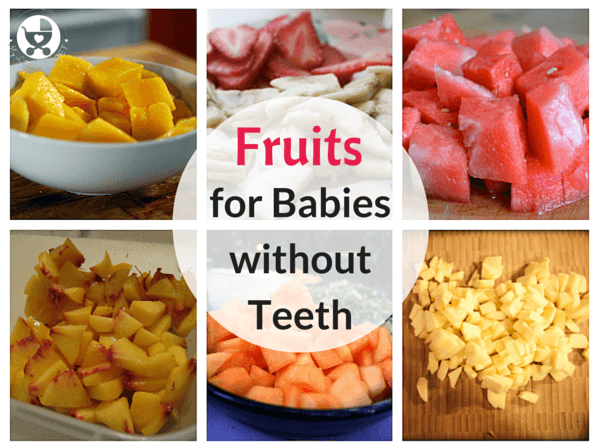 Baby can have anything starting at 6 months with or without teeth. I never did any purées for my kids. I did a lot of the food listed and more. Made everything…never processed because then you get all the garbage. No salt, only spices. Unsalted butter was my best friend and so good for that age so used that cooking all them time. Best is banana pancakes. 2 eggs(entire egg baby doesn’t have to wait on either part of egg until certain age) 2 bananas cinnamon and splash of vanilla extra (optional). Mash up, not puree, and throw in a frying pan. Ma’am my daughter is lactose intolerant as well as cow’s milk protein allergic too. She is 7 month old. Can I introduce curd to her. My baby is 11 months old. From when can I start giving her panneer, cheese and dry fruits. You can start giving from now, for more information, check out our complete guide on Can I give my baby? Thank you for guiding moms with such wonderful dishes. I am worried about my one year old child growth rate. She doesn’t eats well and she is weighing just 7.3kgs.I give her four to five meals a day but still she is not putting weigh. She has two teeths on top and bottom. But she is not ready to take finger foods and regular food. Please guide maam. ,his name is shlok, please give me ideas related to his name. my 2nd anniversary and hubby’s birthday are on same day or related to it. shall i give bread to my 8 months baby..